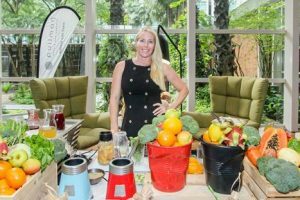 Developed in collaboration with Sarah Hoey, Wellness Coach for the brand since 2014, the Pullman Wellness program has been designed for travellers to maintain a healthy lifestyle during their stay. A personal coach, fitness model and certified nutritionist, Sarah Hoey is also one of the premier fitness influencers in the Southern California fitness world. She has won professional fitness competitions, has numerous coaching achievements throughout the world and is extremely passionate about sharing her skills and knowledge. Who said that we need to have bad lifestyle patterns when we travel? Pullman Bangkok King Power invited Sarah Hoey to join us for an intensive 2 day Boot Camp to demonstrate how a healthy lifestyle program could be implemented at Pullman Bangkok King Power. This included a Well-being drink networking workshop, Healthy dinner, Sunrise yoga class, Spa and Active breakfast. 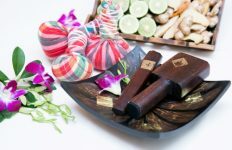 All of these activities fall under the concept of the four pillars of wellness, namely FOOD, SPA, SPORT, SLEEP which encompass the four fundamentals of age defense, energy boost, balance and detox. Fuji apple & Japanese pears have high fiber and low calories. King crab is rich in protein, selenium and long-chain Omega-3, which provides protection from heart disease and also aids brain development. Iberico pork is considered the world’s healthiest pork because of its high concentration of monounsaturated fat, which is one of the healthy fats that can have a beneficial effect on your heart when eaten in moderation. Yuzu has a therapeutic citrus fragrance which is both mood-boosting and stress-reducing. The Healthy dinner was also accompanied by its own special Aging Defense beverage; Hot or Iced Monsoon Jasmine Green Tea from Chiang Mai. This sustainably-produced free-grown tea (planted from the seed of wild tea) is organically grown and free from herbicides and pesticides. Drinking this tea cleanses the body with its incredible antioxidant properties and has many other benefits, such as a reduced risk of heart attack, a stronger immune system and prevention of diabetes. After dinner, it was time to head back to our rooms for a full SLEEP, so that our minds and bodies could rest and prepare for the next morning and Sunrise yoga. This can be both a morning routine enabling the body and muscles to wake up, as well as an evening routine to relieve tension accumulated during the course of the day. 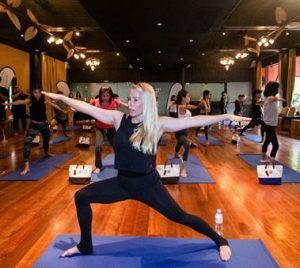 At the Sunrise yoga class, which took place at the beautiful Jim Thompson house, Sarah Hoey introduced us to the SPORT element of the four pillars and how this can help to release stress and tension for a healthy body and soul. Continue with SPA treatment, neck and shoulder massage to feel invigorated. The Boot Camp then ended with an Active breakfast. 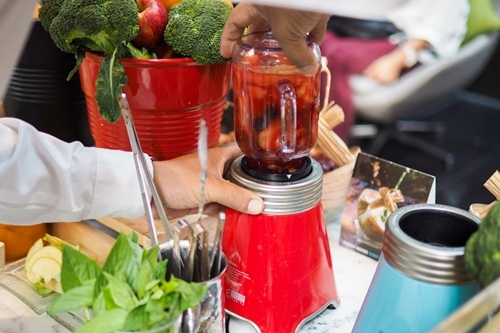 Our breakfast at Cuisine Unplugged included an array of healthy items such as Well-being drinks and juices, salads made from organic vegetables, riceberry, quinoa, yoghurts, gluten free bread and cakes. All the fresh organic items and products were selected from the Royal Project Foundation and delivered directly from local farmers who are well-being sources of Detox, Aging Defense and Energy Boost ingredients. Would you like to have healthy lifestyle? At Pullman Bangkok King Power you are welcome to try our Well-being drinks at The Junction, an Active breakfast at Cuisine Unplugged or a Healthy dinner at Tenshino.